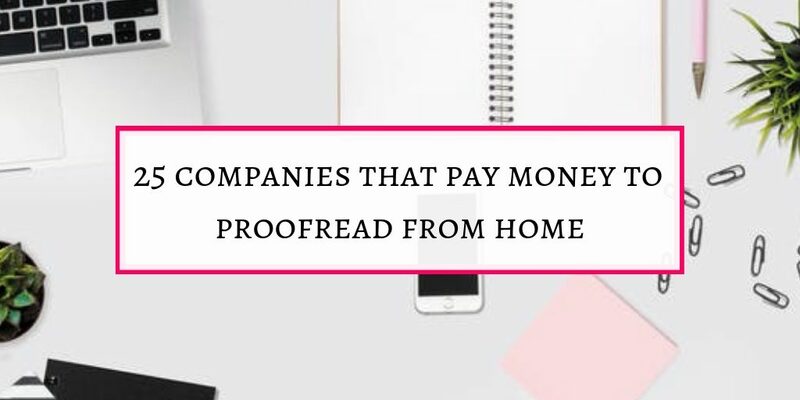 Some companies hire proofreaders and pay money to proofread from home. Working virtually had never been so lucrative and easy. If you want to work as proofreader and want to stay home, then ProofreadAnywhere’s General Proofreading course is for you. Disclaimer: This post contains affiliate links which means I may get compensated if you click through my link and make a purchase without any extra cost to you. If you want to get hired as Proofreader, you need to have some skills. It is better to learn these skills. 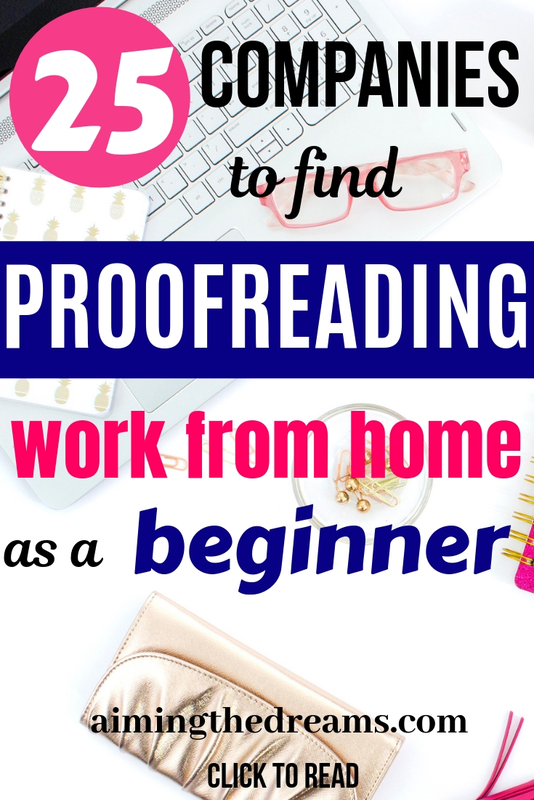 This course will make you ready to work from home as proofreader. Proofreading course by Caitlyn of Proofread Anywhere is detailed and comprehensive course. 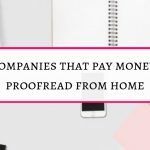 Here are some companies where you can look for proofreading work and get hired to proofread documents. This company/website hires proofreaders for proofreading services. You will get paid around $0.13-0.18 per word. Proofreaders who are native English speakers from USA, UK, Australia, Canada, Ireland and New Zealand can get hired. The writing and editing tasks at Domainite are pretty easy so you don’t need to have previous experience but you need to respond to their emails quickly. You will be able to grab more work and hence make more money if you have attention to detail. Here you will find easy to do editing tasks which require no previous experience. The only requirement is computer, a high speed internet, Microsoft word on your computer. And you are set for work. This company need you to be a Phd in English or related field to get hired. Also you must have verifiable skills as a published writer. Edit fast need freelance proofreaders and editors to edit the documents for clients. Here you may not get consistent work but you will be paid 60% of any project. Payments are made through paypal. Have a bachelor degree with a 5 year experience in proofreading. To work with English Trackers you should be a native English speaker, minimum 2 years experience editing academic documents. 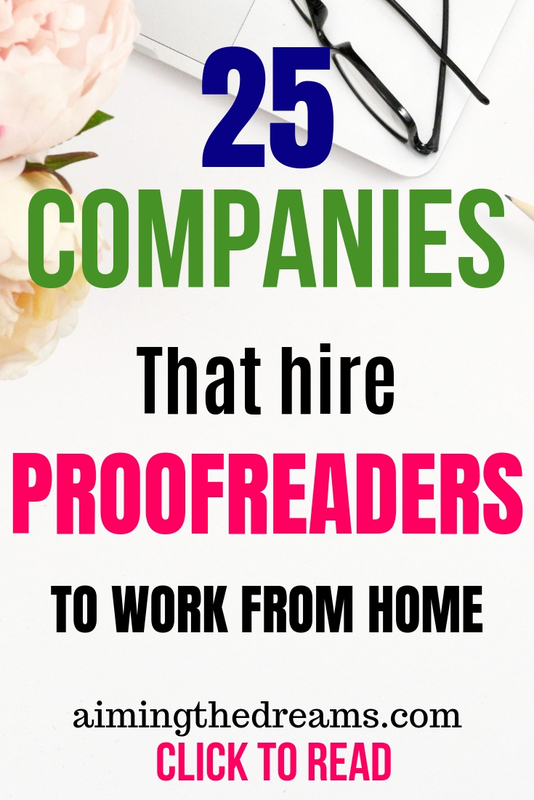 Gramly hires proofreaders fo proofreading services. Requirements are a computer with microsoft and internet. Also you need to have a background in writing or journalism for your application to be considered. Guru is a market place for freelancers. You can find proofreading work on this site. You need to register with them and sign up. After that you can browse the opennings and apply for the job according to your skills. We all knoe that indeed is really a great place to find jobs. Same is true for editing/ Proofreading jobs. You can find lot of proofreading jobs on indeed. Some of these may be remote obs which you can do while staying at home. Life tips provide helpful tips for its readers hire editors and it is a salaried position . Managed editing hire proofreaders as independent contractors. They have a detailed application so complete it and keep your information in their database. One space is the place where editing and proofreading jobs are posted. And you can also make an account on this site and apply for jobs. If you don’t find ob that fit you skills, you can submit an application and if they find any job that fit your skills, they may contact you. Peopleperhour is a place where you can find freelance work. You have to sign up with them and your skill sets will be matched with the clients. You can join this company even if you are an entry level proofreader. But you have to pass their test to be considered for work. And you should score 95% in this test. You will get hired if you are masters or PhD in any stream. Proofreading 247 works for academic or business proofreading. Sibia Proofreading hire editors for scieticfic, medical and academic journals. You must have good experience in editing and proofreading to be considered to proofread and you must be have knowledge of one of the fields. Writers relief provide proofreading services for whch they need proofreaders. But they say that they are very selective in choosing the applicants and only 2 % of applicants get hired. Registration will take around an hour. And registrations for proofreaders /editors will be open anytime in Q1, 2019. At the moment they are updating the platform so you have to wait till it gets updated. This is a great place to find occasional proofreading and editing work. You can work remotely but you have to pass their proofreading test at their Virginia office. 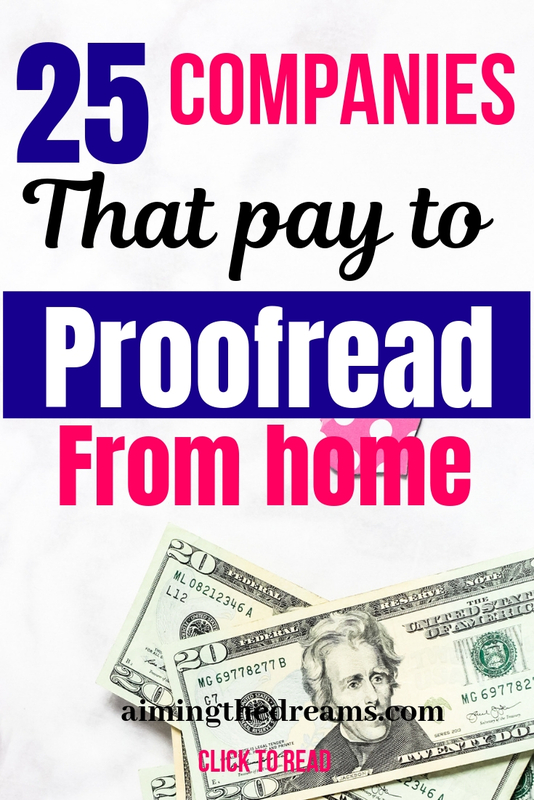 Proofreading pal hire proofreaders regularly and pay good money. They require you to be graduate or pursuing a graduate degree in US . Or you should be a graduate and have 5 years of extensive experience in proofreading. Polished paper hire professional proofreaders to work on their projects. To join this website, submit the application with resume and required information and pass their editing test. Scribbr is the place for academic writers and editors where you can find proofreading work to work remotely and earn some money. Scribendi has lot of editing and proofreading job opportunities available. You can find onsite as well as offsite work. WordsRU require you to have a Master’s degree , PhD or equivalent professional experience in any academic discipline. Be proficient in MS word and have atleast 2 years of experience in proofreading. Wordadvice hires those editors who have 2 years of editing experience. If you have required skills then you can get hired for proofreading work. 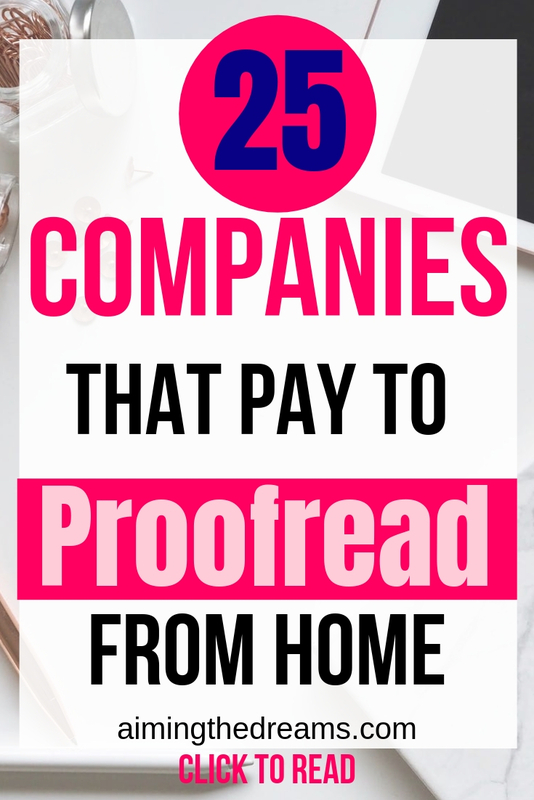 These companies provide proofreading and editing work. Some of them provide work as individual contractor and you get to be paid as you complete the task. If you like the post please share because it may help find somebody the job to work from home. I will be thankful to you for this.